I've been boring anyone who will listen with tales of my new found matcha obsession. For those that don't know what it is, matcha is finely ground, premium grade, green tea leaves, so it comes in powdered form and it's a beautiful shade of green. I've bought it in both tins and sachets, and once opened it's best stored in the fridge. You can find all sorts of information on the internet about it's amazing super powers, and you may want to do some research before you dish out for some, because it's not cheap, but boy, is it tasty! Speaking of tastes, we have five of them - sweet, sour, bitter, salty and umami. Umami is a Japanese word that translates as 'pleasant savoury taste', and matcha is umami. It has a subtle earthy flavour, but don't let that put you off - it's sooooo good! Traditionally, you would drink matcha mixed with a small amount of boiled water, like a shot of espresso. But I wanted to share a couple of my less traditional 'recipes' with you, as I've had so many people asking me about it. This is my favourite. I've been averaging three of these a day lately - when I like something, I REALLY like it. 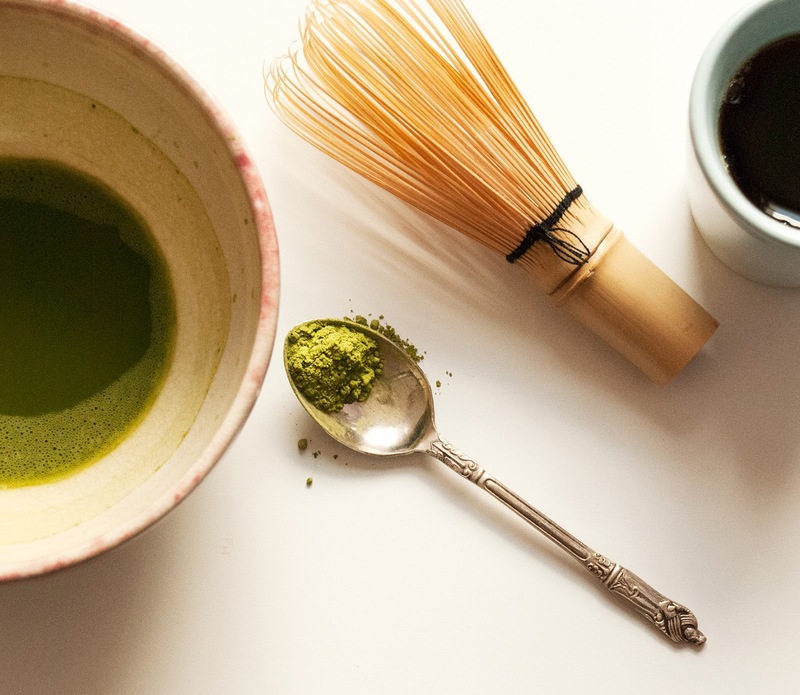 I have a tea whisk, so I add my matcha powder to a small bowl first and whisk it up with about a tablespoon of water. Transfer to a tall glass, add all your other ingredients and stir well. Whisk the powder with a tablespoon of water in a small bowl, then transfer to a mug. Heat milk - don't boil it, who wants a skin on their latte?! Not me! Add hot milk and stir well. I made this a few years ago, after I'd promised Edie some Green Tea Ice-Cream for her birthday dessert. I bought an ice-cream maker and everything, but didn't realise that the inner bowl of the ice-cream maker had to go into the freezer first, and it wouldn't fit in our stupid little freezer. Don't get me started on that. So in a panic, I thought I'd give this a try and it tastes exactly the same as the stuff you get in Japanese restaurants. Result! Leave the ice-cream out of the freezer to soften - about 20 minutes. You don't want it runny, just soft enough to mix. Transfer the ice-cream into a large mixing bowl, add the matcha powder, and mix with a metal spoon until the colour is consistent. 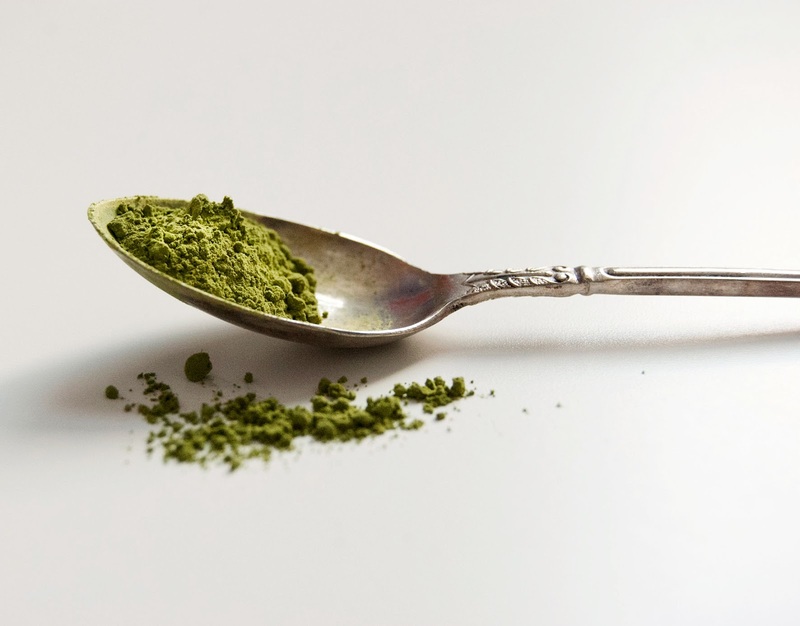 You might want to use more or less matcha powder, so taste as you go. Once you're happy with the flavour, pop it back into it's container and into the freezer to firm up again. Et Voilà! You'll notice that you seem to end up with much less ice-cream when you put it back into the tub. Two reasons for this. One is that you've probably eaten half of it because it's so delicious, and the other is that they tend to whip lots of air into it so it looks like you're getting more than you are, and the air dissipates once it softens. The cheats. Let me know if you try any of these, I'd love to know what you think. How do you have your matcha?